Custom products like keychains will keep your brand in plain view of your audience and generate leads. The best part- these are non intrusive and won’t even look like a promotional billboard for your audience. 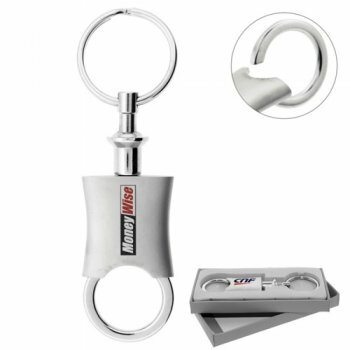 Keychains fit the bills of corporate gifts, mailer items, store promotional items and even party favors. These gifts make part of a business strategy and an effective way to show your clients that you appreciate them. 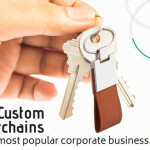 Keychains remind your customers about your company and inspire them to be in touch with you. 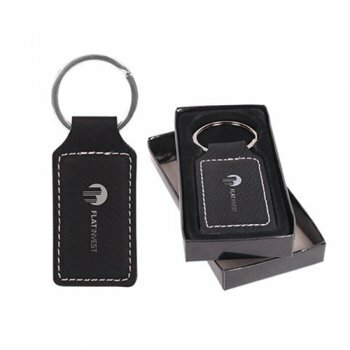 Custom leather keychains have an uncanny charm about it and make great handouts for corporate events and to reach out to your employees and high value clients. Built to look good and last long, leather keychains make tokens of appreciation for welcoming new customers and conveying your gratitude to the existing ones. Choosing the right gift is important because the money you are spending on these gifts ensure returns in the long run. Conventional advertisements like newspaper ads or radio spots have a very long shelf life as people forget the moment they disappear from their eye span. However by choosing highly useful items like keychains as your promotional items, you are rest assured of a long lasting promotional effect. While selecting gifts, you should consider the functional aspect as well; more the utility, more will be your brand exposure. 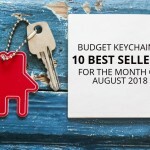 Daily use items like custom keychains will keep the keys safe and well organized and will be received with joy. In a fiercely competitive world, most brands do not take enough care to think whether their custom gifts make their recipients happy and well appreciated. Gifts that bring a smile to the face of your recipients will speak well of your company; the big plus – these gifts need not even cost you a lot. 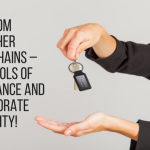 Keychains make perfect choice as it will be a much talked about topic among the employees of your organization. Make sure not to compromise on the quality of your custom gifts. Leather keychains are available in a range of shapes and elegant patterns that will tug the hearts of your audience. 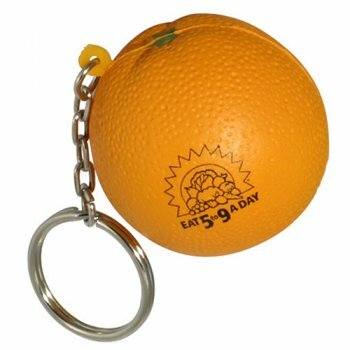 Every time they show off these logo items, your brand and message imprinted on these keychains will get a lot of attention. Leather is designed for life and these logo items are well suited for the rough and tumble of daily lives. Twisted Leather Keychains bring together the elegance of a twisted leather strap and polished chrome metal clamp in one. Offered in a gift box, these logo items will make great handouts for corporate events, tradeshows and store promotions. 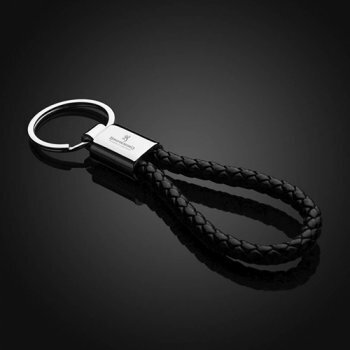 Corrara Keychains Featuring a classy faux leather tag and gunmetal split key ring, these keychains feature a chic contrast stitching and thick multilayer design that gives these custom leather keychains a posh look and feel. These make great handouts to reach out to their customer base exceptionally. We have a lot more! Browse along and shop at your convenience.